Cheap flights from Germany to Jamaica from €270! Cheap flights from Germany to Jamaica from €270! Thanks to Eurowings promotion you can book discounted flights from Munich to Montego Bay, classic beachside of this beautiful Caribbean island. Looking for some Caribbean escape and you can easily reach one of above mentioned cities this is perfect solution to visit Jamaica. Offer is based on a direct service but note that this is a low-cost solution based on charter airlines. You will below the lowest priced flight deals from Germany to Jamaica based charter airlines Eurowings. Note that this time there is 20kg checked-in luggage included in base. Take advantage of current promotion and book cheap flights Germany to Montego Bay, Jamaica in 2019. Eurowings promotion offers the cheapest flights from Germany to Jamaica in March 2019. Taking the advantage of this offer you can expect less crowded beaches and cheaper accomodation. Below you can refer to our booking as well as few travel samples. Deal is based on direct booking with Eurowings. You can easily compare there all the cheapest flights Germany-Montego Bay. Jamaica is an island nation in the Caribbean, located to the south of Cuba and to the west of the island of Hispaniola. Montego Bay, commonly referred to as MoBay, is the second largest city in the island nation Jamaica, a member of the British Commonwealth. Montego Bay is the capital of St. James Parish, one of the 14 parishes in Jamaica and the busiest tourist arrival destination. If you have booked these cheap flights from Germany to Montego Bay, Jamaica you can read more about this Caribbean holiday destination at Wikitravel. Need affordable hotel in Montego Bay, Jamaica book your accommodation via Booking.com or Hotels.com. If you have booked these cheap flights from Germany to Jamaica in the Caribbean Sea you can also compare best prices for car rental in this destination via Rentalcars.com. 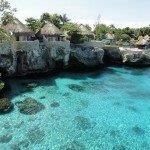 Booking sample of flights from Germany to Jamaica from €270! Your outbound date from Munich to Montego Bay, Jamaica would be on 22nd of March. Inbound flight from this tropical island in the Caribbean Sea back to Germany on 3rd of April 2019. Take advantage of this latest promotion and book the cheapest flights from Germany to Montego Bay, Jamaica.